Keep your distance. But don't look like you're keeping your distance. Whether in the hands of an Imperial player, or located at a mission waypoint from a Rebel terminal, an AT-ST was a sight to behold, and a foe to fear. The intelligent Rebel agent would soon know which missions to choose in order to avoid these instant trips to the cloner. The AT-STs could be taken down easily by a large group, but one-on-one (or even one-on-two, as the case is in the picture above), there was little chance of success. Here, we see Vincer and his companion Amber coming across an AT-ST in the wild. Vincer got close enough to take this image for his superior officers, but not so close that the picture would be shipped to his commander along with his other personal effects. In a small box. The Empire should redeploy these war machines about the galaxy, and in greater numbers. It may spell doom for many of the careless Rebels, but those of us who take more pride in the term "Alliance" then to "Rebellion" will enjoy finding ways to turn these powerful vehicles and the drivers into scrap. Rumor Central: A Casual Star Wars MMO from SOE? SOE takes another crack at a Star Wars MMO? Follow the link and read all about the latest rumor from an "inside source". I recently had the opportunity to purchase a new laptop; one that was a fairly huge upgrade from my previous rig. After loading up SWG, I turned to the Options panel and cranked up the graphic settings to see what was still possible. For being a six year old game, the graphics still look quite amazing. Kudos to the original designers for making a game that has stood up to the test of time. Now here's an idea that the SOE developers can really get behind! Why? Well it's because it uses a system that they're currently implementing: the Chronicle System. 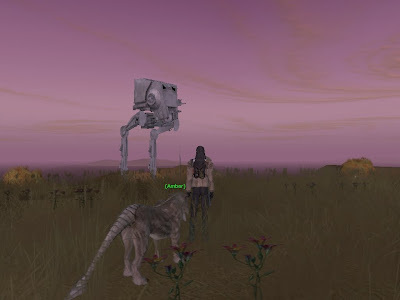 As detailed in my forum post titled Chronicles: Can We Make Tutorial Quests?, I am of the belief that newer players are not properly equipped with in-game information about how to play some of the subsystems that SWG has to offer. Sure, the forums and unofficial sites have all the information one could want (and more), but I am a firm proponent of immersion. If someone has to alt-tab out of the game to find information, then I see that as a failure of the game to retain a players interest. That's a broad generalization, and a gross exaggeration, but I think there is a hint of truth in such a ruling. And certainly the converse does not carry many downsides; that being the game itself, from within the game environment, teaching the player and equipping them with all they need to delve deeper on their own to work through the details without hand-holding. I intend to use the Chronicle System to create newbie and lowbie tutorials, with small rewards that encourage them to continue playing (and subscribing) in order to learn more. The quest gifts will not offer them top-tier gear, or anything that would encourage laziness or a beggar attitude. Instead, it should whet their appetite for more. Perhaps you've some ideas on how to use the Chronicles, but if you hadn't yet considered any ideas, perhaps you could borrow mine and find ways to help new players find their path. 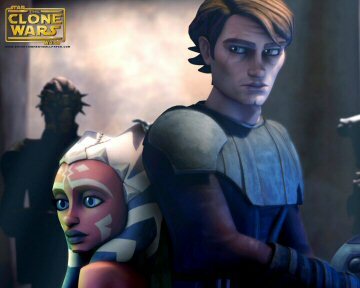 Maybe together, we can help SWG and offer some entertainment value for all involved.